In Guatemala, more than half of the country’s 14.9 million people live in poverty. Gang violence and civil unrest leads to more than 450 deaths and the incarceration of more than 100 young people each month. Human trafficking and sexual abuse runs rampant, with an average of 15,000 children and adolescents falling victim to sexual exploitation each year. And large populations of people—particularly in rural Guatemala—have yet to receive access to a Bible in their heart language. The Bible Society of Guatemala, with support from American Bible Society’s financial partners, is using God’s Word as a tool to restore incarcerated gang members and provide healing for victims of crime and abuse. The Bible Society is also working to translate the Bible where no translation exists, aiming to equip every person in Guatemala to encounter Christ in the pages of Scripture. Reintegration of gang members: In Guatemala, organized crime often begins with the recruitment of teenage gang members. These adolescents almost immediately go to work extorting and assaulting their neighbors while promoting the country’s widespread drug trade. To stop this cycle of violence, gang members need to engage with God’s Word and be equipped to reintegrate into society. Trauma healing for victims of human trafficking: In Guatemala, thousands of children and adolescents suffer as a result of the human trafficking epidemic in the country. They endure emotional wounds, physical injuries and marred identities. To find hope and healing, victims need to be able to encounter God in a way that accounts for their trauma and suffering. 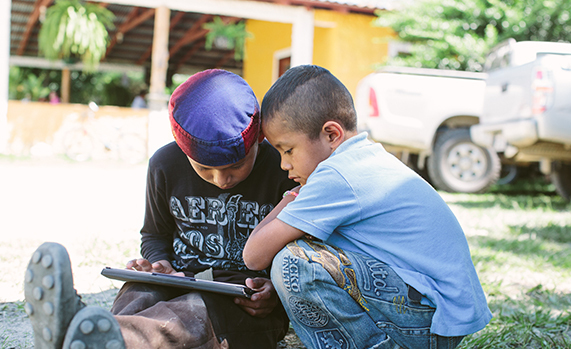 Bible translation: In poor, rural areas of Guatemala, entire communities only have access to outdated Bibles—or in some cases, portions of the Bible—in the local language. In order for these Guatemalans to uncover messages of peace and hope found in God’s Word, Bible translators must complete Bible translations in several indigenous languages. Reintegration of gang members: To equip incarcerated gang members to reintegrate into Guatemalan society, the Bible Society of Guatemala has developed a Bible teaching program. Through Scripture, the course seeks to restore gang members’ spiritual, moral and occupational values. More than 2,400 imprisoned young people have already encountered Christ through this program, which is supported by American Bible Society’s financial partners. In the next several years, leaders see potential to reach more than 6,500 people. Trauma healing for victims of human trafficking: To empower suffering adolescents to uncover messages of comfort, hope and healing in God’s Word, the Bible Society of Guatemala, with support from American Bible Society’s financial partners, provides spiritual support through specialized trauma healing programs. During these courses, children live in temporary housing, and learn to find freedom from abuse through a Bible-based curriculum. Bible translation: To provide hundreds of thousands of Guatemalans with access to a complete Bible in their heart language, multiple Bible translation teams are working to update outdated translations and complete unfinished translations. Once complete, these translations will equip church ministries throughout Guatemala to operate in their heart languages. Pray that victims of violence and sexual exploitation in Guatemala may find hope and healing through God’s Word. Ask God to strengthen and protect Bible translators working to provide all people in Guatemala with access to the life-changing message of God’s Word. Praise God for the volunteers, program leaders and Bible translators who seek to make God’s Word available and alive in Guatemala.